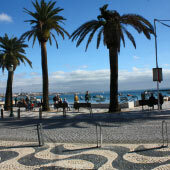 Estoril is a trendy and popular beach resort that is situated on the beautiful Lisbon coastline. Estoril makes for a fantastic holiday destination, and boasts glorious beaches, enjoyable day trips and a social nightlife. 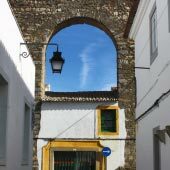 This guide will provide a suggested itinerary for a 1-week holiday to Estoril and will detail some of the best activities, sights and excursions of the region. There is no better way to start a holiday than to visit one of the finest beaches of the region, the Praia de Carcavelos. The beach is a wide expanse of soft golden sands, has great surfing waves and is adored by the residents of Lisbon, who flock here during the summer. The beach is only 15 minutes away by train and there are numerous hourly departures from Estoril train station. 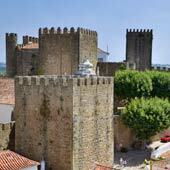 For a guide to the Praia de Carcavelos, please click here. For those who wish to spend the day closer to Estoril, should visit the Praia do Tamariz, the main beach of Estoril. This beach is within walking distance of the town and is suitable for families and children, as the sea waters are much calmer. For the evening head to Estoril casino with its extravagant night shows, great restaurants and of course slot machines! 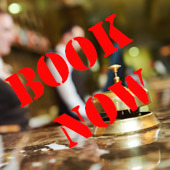 The best nights to visit are at the weakened when there is a real buzz about the venue. Cascais is a historic fishing town that combines grand 19th-century architecture with traditional Portuguese charm. A day can be easily spent exploring the pretty town and major sights include the Casa Santa Maria, the Guimaraes Museum and the cliff formation known as Hell’s Mouth. There is an enjoyable coastal promenade that connects Estoril to Cascais and this enjoyable 2km walk passes sandy beaches and grand houses. 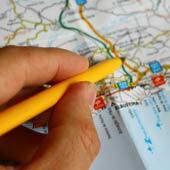 For a guide to Cascais please click here. 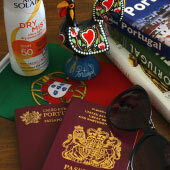 Lisbon is the vibrant capital of Portugal, and is only a short train journey from Estoril. A day trip to Lisbon should focus around the Baixa and Alfama districts, which are the oldest and grandest sections of the city. Sights of the day could include the Se cathedral, the castle and the grand plaza of Praça do Comércio. Lisbon is a historic and diverse city and no short paragraph could cover everything it offers or do it justice; for a full guide please click here. 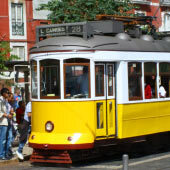 For a relaxing way to discover Lisbon hop aboard the number 28 tram as it trundles through the narrow streets and steep hills of Alfama. Alternatively, for a waterside view of Lisbon catch one of the inexpensive commuter ferries as they cross the River Tejo to the north bank. 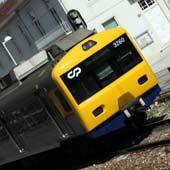 Estoril is connected to Lisbon by a regular and inexpensive train service; for a guide to travelling to Lisbon, please click here. Sintra is a pretty town that is highly recommended for all tourists on holiday in Estoril. Sintra is located in the cooling hills of the Serra de Sintra, a setting that attracted the nobility and elite of Portugal, who constructed grand palaces and residences. High above Sintra is the ancient Moors castle, while in the centre of the town is the gothic national palace with its distinctive chimneys. The stand out monument of Sintra is the Pena Palace, a beautifully decorated palace. Estoril is connected to Sintra by a direct bus service (details here), and for a complete guide to Sintra please click here. After two busy days exploring the region around Estoril a day relaxing on the beach is suggested. There are two recommended choices of beaches: either the calm beach of Praia da Sao Pedro or the surfing beach of Praia do Guincho. Guincho is renowned for its powerful swell and near-constant breeze, which make it ideal for surfing but not so much for sunbathing. Guincho beach is set on the edge of the Serra de Sintra national park, which gives it a wild and remote appearance and atmosphere. Sao Pedro is a much calmer beach, and is similar to Carcavelos Beach, again being very popular with the population of Lisbon. Praia da Sao Pedro is connected to Estoril by the regional railway and is only a 15-minute journey away. For those tourist who prefer a cultural holiday should spend a second day in Sintra and visit Monserrate Palace and the Quinta da Regaleira and it’s mystical gardens. For a guide to the second day in Sintra, please click here. Belem is a picturesque district of Lisbon that contains many of the iconic monuments of the capital. Belem is situated on the banks of the Tejo River and is an area of large open spaces, ornate gardens and carefully maintain parks. Contained within Belém is the extravagant Jeronimos Monastery, the charming Torre de Belém and the impressive Discoveries Monument. Belem is the traditional home of the Pastel de Nata, a Portuguese custard tart, and no visit is complete without sampling one of these delicious desserts. There are sufficient sights and attractions within Belem to fill a whole day of sightseeing. Belem is located to the west of Lisbon (closer to Estoril) and is connected by the regional railway. 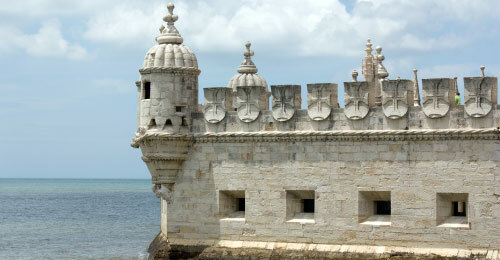 For a guide to the Belém district please click here. The Cabo da Rocha is the most westerly point of mainland Europe and is an area of dramatic landscapes. The barren land is battered by strong winds, while the massive cliffs fall away to the churning and angry seas. At the headland, there is a major lighthouse and coastal footpaths along the cliff top to the beach of Praia da Adraga. The Cabo da Rocha may not be appreciated by all visitors as it is a very barren region. An alternative activity is a bike ride from Cascais along the western coast to the beach of Guincho. The route follows a 7km purpose built cycle path, which is very scenic as it passes cliffs remote beaches, high cliffs and small villages. Bikes can be hired in Estoril or free “Bicas Bikes” can be hired once in Cascais, for a guide to the bike route please click here. EstorilPortugalGuide.com, Cascais-Portugal.com, Sintra-Portugal.com and Lisbon-Portugal-Guide.com, with over 800 pages if its not here it's probably not the Lisbon coastline!